The natterjack toad, the most threatened of only three native amphibian species to occur in Ireland, is making a comeback in its traditional strongholds on the Kerry coast according to a recent report by the National Parks and Wildlife Service (NPWS). An ongoing habitat creation scheme established by the NPWS back in 2008 seems to be paying dividends, with staff describing 2014 as a “bumper year” for the rare amphibian. Staff recorded what they described as “a huge abundance” of young toadlets emerging from breeding ponds on the Dingle and Iveragh peninsulas in late June and early July. Once widely distributed around the Castlemaine Harbour area from Inch in the north to Rosbeigh in the south, and around Castlegregory on the north of the Dingle Peninsula, extensive habitat destruction through land drainage in the first half of the 20th century hit natterjacks hard, resulting in massive declines both in both toad numbers and distribution. Natterjacks were officially classified as Endangered in the most recent All-Ireland Red List, and their conservation status was described as “unfavourable” in a national report to the European Commission recently. However a wet May followed by a warm June in Kerry this year seems to have resulted in a very successful breeding season for this beleaguered amphibian. Young toads spend two to three years on land, feeding and growing before they reach breeding age. Some of these toads will disperse to adjacent areas, and once ready to breed will colonise new breeding ponds where they are available. The problem for the toads was the lack of suitable habitat to disperse into… which is where the NPWS pond creation scheme comes in. To date 96 new ponds have been created under the scheme — which compensates local farmers to establish ponds on their land and manage them to provide suitable toad habitat. 20 ponds have already been colonised naturally by the toads, and many of them produced “good numbers” of toadlets this season — which the NPWS describes as “encouraging”. Great news. I am very happy that Natterjack Toads retyrn to Kerry. 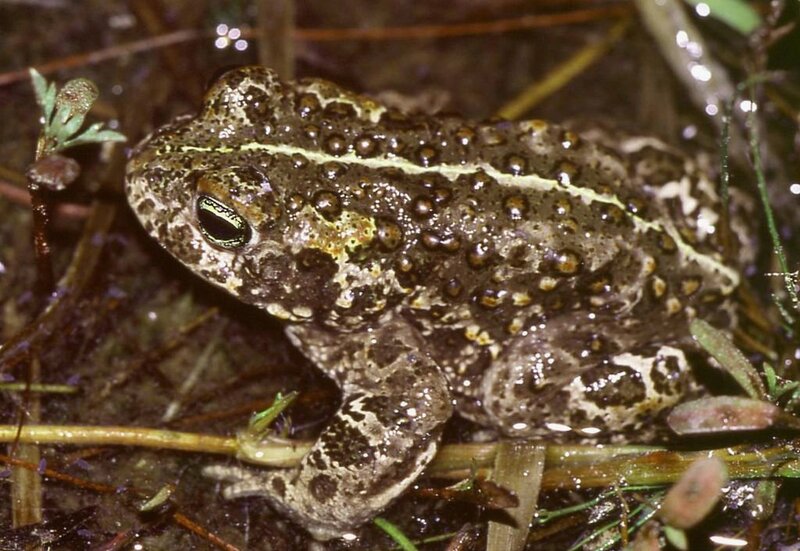 I am a lover of amphibians and I have never seen Natterjack Toads. In my country where I live[ In Poland] They are extremely rare. Size of the population of Common Toad dramatically declines. I am full of admiration for conservation program for Natterjack Toad in Ireland. I dream to visit Kerry , not only for Toads observations. Irish nature is wonderful, Ireland is the most beautiful country in the world. Great to hear them doing well but make it clear to people that they wont help them by putting them into there garden ponds as they live in sandy burrows mainly n drown quite quickly in deep sided garden ponds let the parks people do there work in that area.